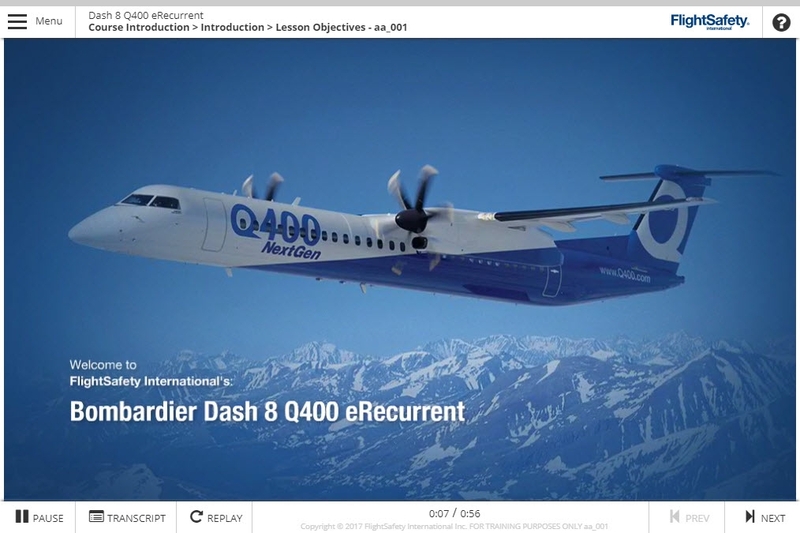 FlightSafety’s online Bombardier Dash 8 Q400 Recurrent course provides necessary training to allow the pilot to locate and state the function of various systems components, state the meaning and cause for illumination of various annunciators, and locate and apply the various Emergency/Abnormal checklist procedures. 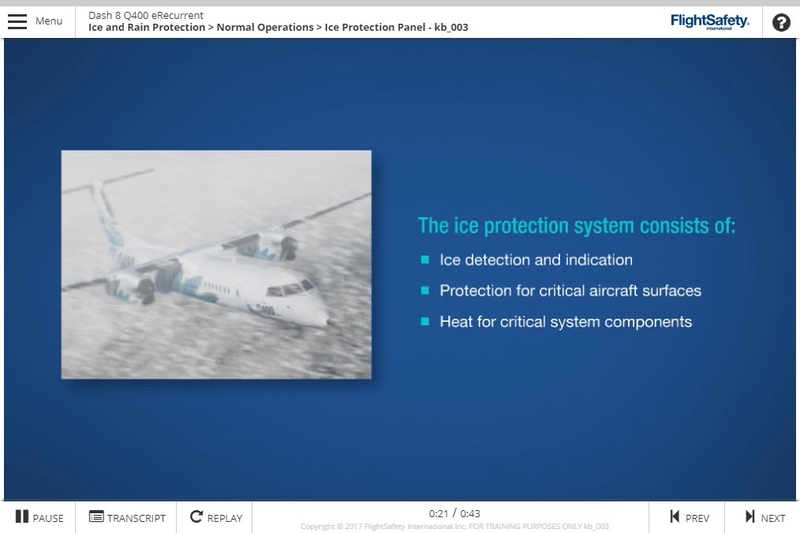 This course covers most training objectives for recurrent training, however it is not FAA-Approved. 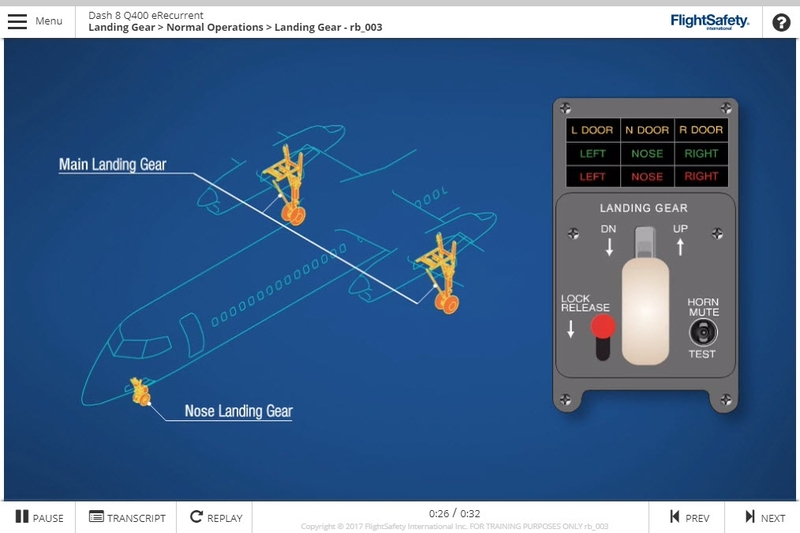 If you are looking for a comprehensive recurrent training solution, please contact the FlightSafety Toronto Center at toronto@flightsafety.com. 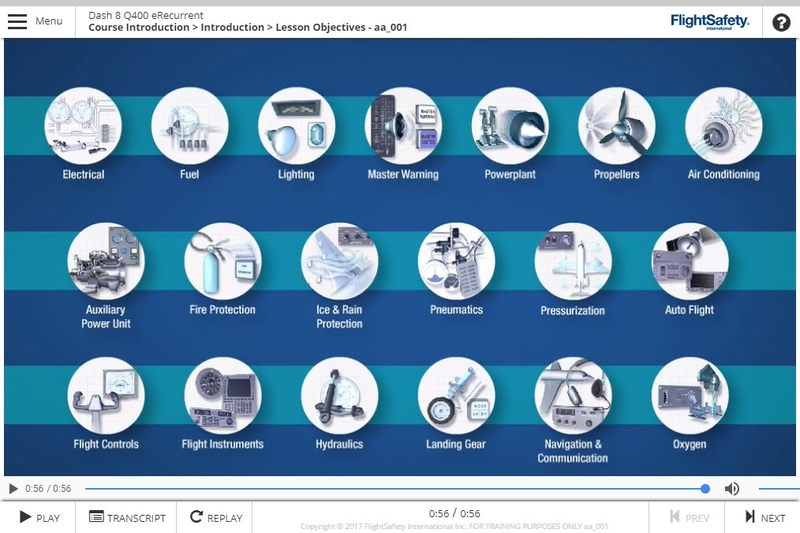 Please contact the Toronto Center for a more comprehensive Recurrent training solution.